A new soap invented by two African students could one day become an indispensable part of malaria prevention strategies worldwide. 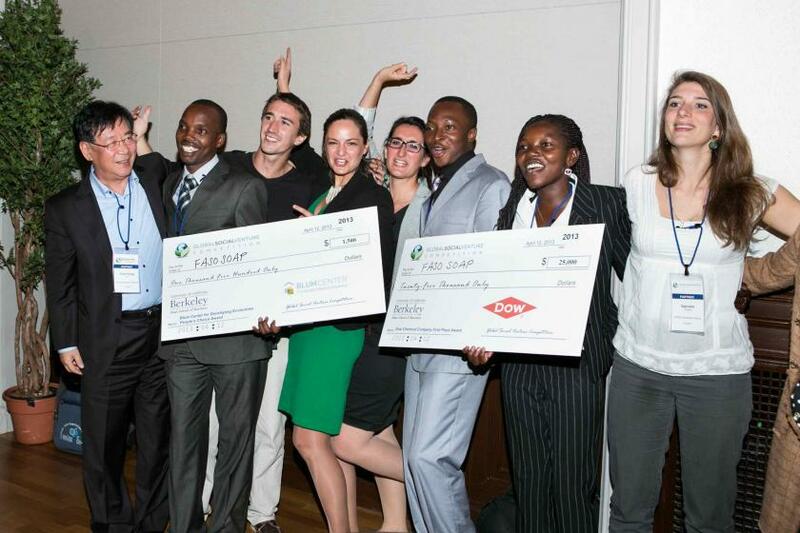 Moctar Dembele and Gerard Niyondiko, from Burkina Faso and Burundi respectively, recently submitted their "Fasoap" to the Global Social Venture Competition (GSVC) - a global competition for inventors and entrepreneurs, where the soap was awarded the $25,000 Grand Prize. The soap fends off malaria-carrying mosquitoes by leaving a repellant scent on the skin. While most of the ingredients are secret, it reportedly contains shea butter and essential lemongrass oil. According to CNN, Niyondiko and Dembele's new anti-malaria soap company will attempt to circumvent the vicious cycle that makes malaria fatality rates so high in the world's poorest countries. In these countries, the spread of the disease diminishes the workforce, which in turn cuts profits and productivity. Family income goes down, and households can no longer afford to pay for treatments and drugs. "In our country the majority of the population lives below the poverty line," said Niyondiko. "So we thought of a repellent and larvicidal mosquito soap which will be accessible and affordable to the majority of the population, seeing that soap is a commodity product and especially not going to add other additional costs to the population. Our soap will fulfill the desire of the population to be clean, as well as protect them from malaria, without any additional cost to them." According to the World Health Organization (WHO), the estimated number of malaria cases in 2010 was 219 million. These cases resulted in about 660,000 deaths - 90 percent of which occurred in Africa. The main victims of malaria deaths are African children under the age of five. "Our goal is that our soap is widely distributed to reach the largest possible number in sub-Saharan Africa and other parts of the world affected by malaria," says Niyondiko. "This is to say that NGOs, companies will be our potential customers for the distribution of our products. After the victory obtained at Berkeley there are so many NGOs, companies who spoke to a partnership with us in order to distribute our soap in different parts, even outside Africa." Beyond its projected medical and economic benefits, Dembele and Niyondiko's soap represents a symbolic victory for the African population, as it shows that the continent has the power to solve its own problems. "It is a feeling of joy and pride for us and for Africa in general," said Niyondiko of their win at GSVC. "It also shows that in Africa we are not back and that Africa's problems can be solved by Africans themselves." Currently, the soap is going through clinical trials. They hope to enter the market by 2015.